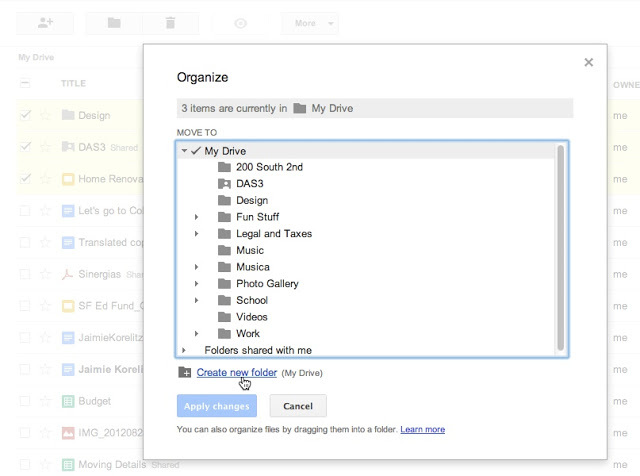 You can insert files from Drive directly into an email without leaving your Gmail. Have you ever tried to attach a file to an email only to find out it’s too large to send? Now with Drive, you can insert files up to 10GB — 400 times larger than what you can send as a traditional attachment. Also, because you’re sending a file stored in the cloud, all your recipients will have access to the same, most-up-to-date version. 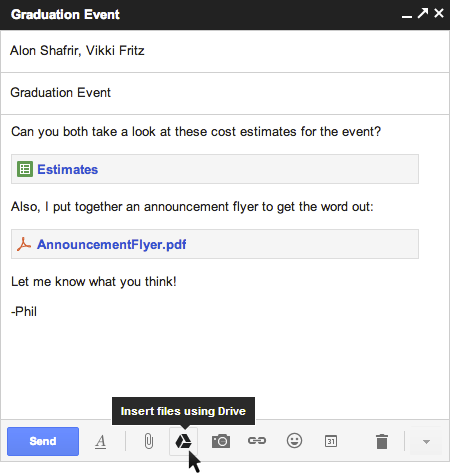 So whether it’s photos from your recent camping trip, video footage from your brother’s wedding, or a presentation to your teacher, all your stuff is easy to find and easy to share with Drive and Gmail. To get started, just click on the Drive icon while you’re composing a message. Note that this feature is rolling out over the next few days and is only available with Gmail’s new compose experience, so you’ll need to opt-in if you haven’t already. 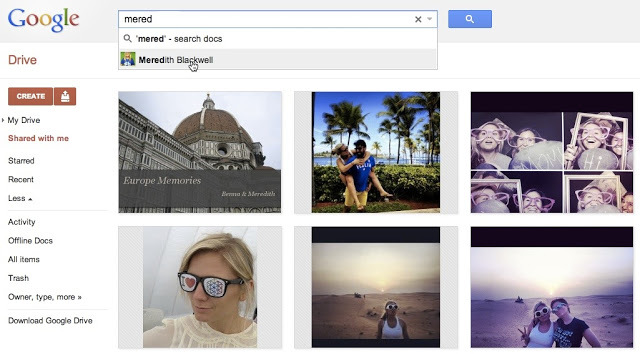 Search by person: Can’t remember the name of a file but know who shared it with you? Now Drive search auto-completes people’s names making it easier to find the stuff you’re looking for.